2 Bdrm 2nd flr Flat. Hall. Lounge. Kitch. 2 Bdrms. Bathrm (CT band - B). 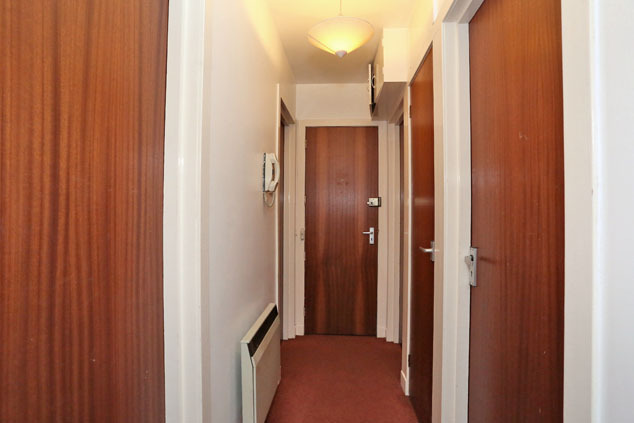 Fixed price £99,500 Entry by arr. Viewing 07526 500769 or contact solicitors. Below Home Report Valuation (EPC band - E). Situated within an excellent city centre location, with an abundance of amenities on its doorstep including shops, restaurants and recreational facilities, as well as higher education establishments within walking distance, we are delighted to offer for sale this two bedroomed second floor flat which forms part of a traditional granite tenement. Finished in fresh, neutral tones throughout the accommodation comprises an entrance hall which leads onto the bright and spacious lounge and continues through to the fitted kitchen. 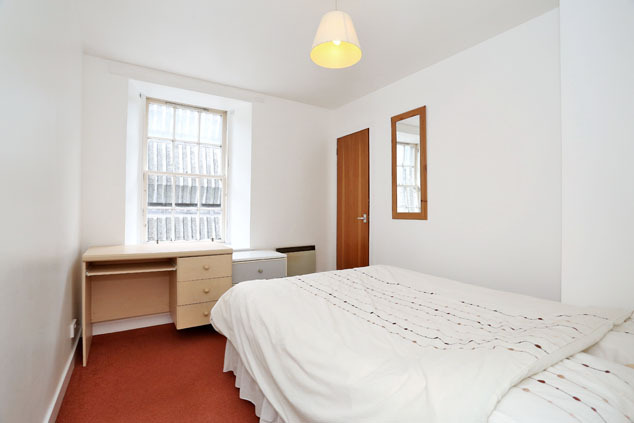 There are two bedrooms each with built-in storage and finally, a centrally set bathroom completes the property. With its superb location this is undoubtedly an excellent opportunity for first time buyers and buy to let investors, therefore early viewing is genuinely recommended. St Andrew Street is a popular area to the north of Union Street with all city centre amenities within walking distance of the property. 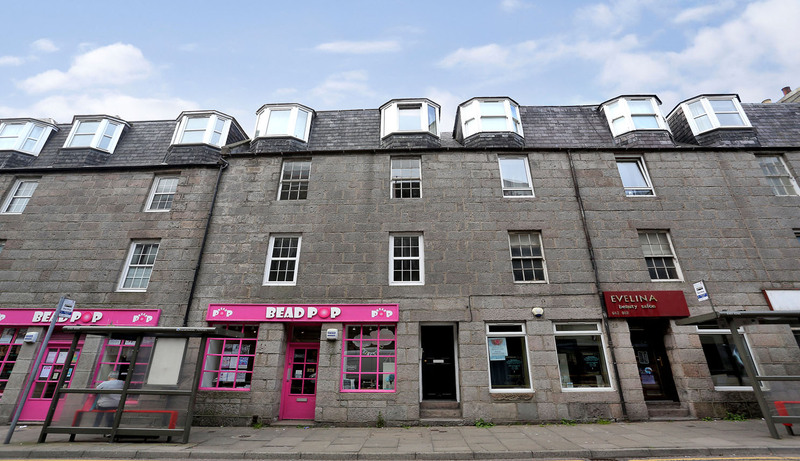 A good number of local shops and amenities are available on the door step including regular public transport to most parts of the city and Aberdeen University. Communal Hall Entered via a security entry door the communal hallways are well maintained with windows to the rear providing natural light and ample additional lighting. A staircase leads to the upper floors. Entrance Hall A timber door leads into the hallway which boasts neutral tones with carpeting. A cupboard houses the water tank and provides storage and the pay as you go electric meter and fuse box are concealed at ceiling height. Security entry handset. Lounge 12’8” x 11’5” [3.87m x 3.50m] approx. 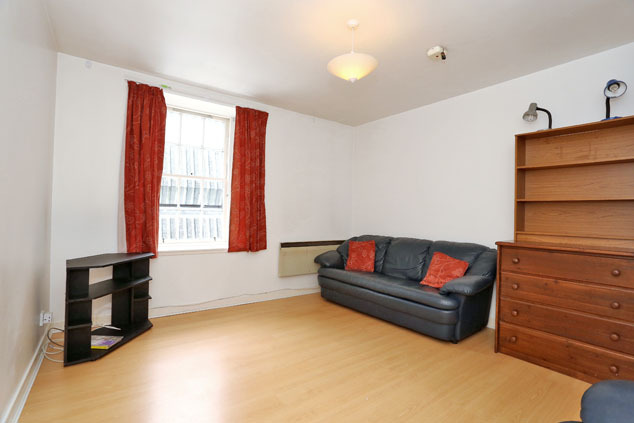 This spacious room is naturally bathed in light by a large sash and case window to the front which enhances the simple neutral décor and modern laminate flooring. 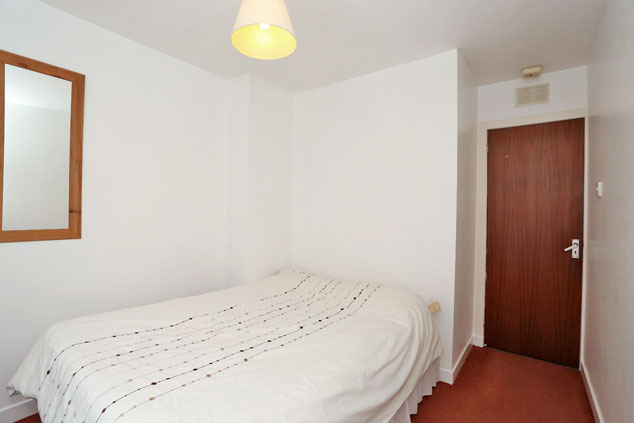 The good dimensions allow ample space for soft furnishings. TV point. Telephone point. Smoke alarm. Kitchen 7’8” x 6’0” [2.34m x 1.83m] approx. Overlooking the rear is this fitted kitchen with a good range of base and wall units edged with splashback tiling and topped with rolltop work surface incorporating a sink with mixer tap and drainer. 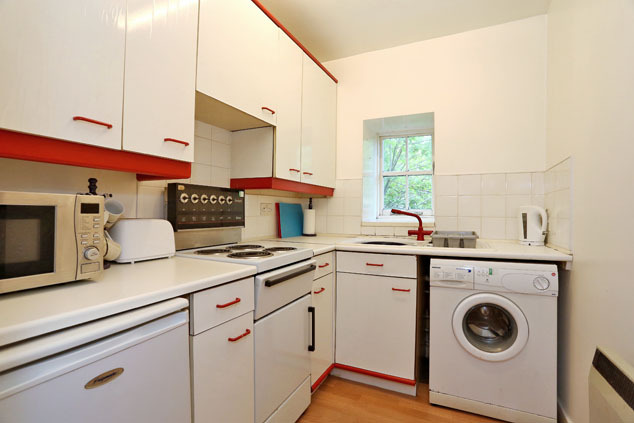 The free standing electric cooker, fridge and washing machine will also be included. Bedroom 1 12’10” x 8’7” [3.93m x 2.64m] approx. 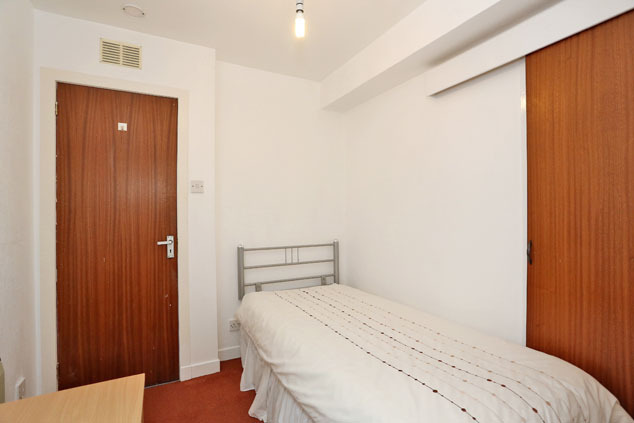 This naturally bright and airy double room is to the front of the property and boasts recently refreshed neutral décor with co-ordinating carpeting. A built-in cupboard provides hanging and shelving and there is ample space for required furniture. Smoke alarm. Bedroom 2 7’11” x 7’6” [2.42m x 2.30m] approx. 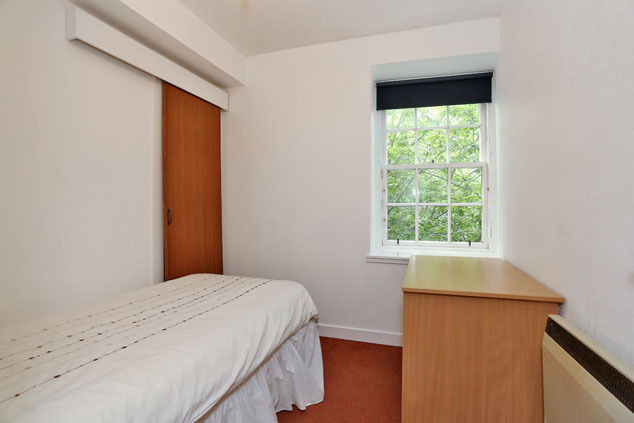 Enjoying a peaceful rear aspect, the second bedroom is a good sized single room with a wardrobe providing built-in storage and there is space for free standing furniture. The fresh décor is in neutral tones with carpeting. Bathroom 5’5” x 5’5” [1.67m x 1.67m] approx. 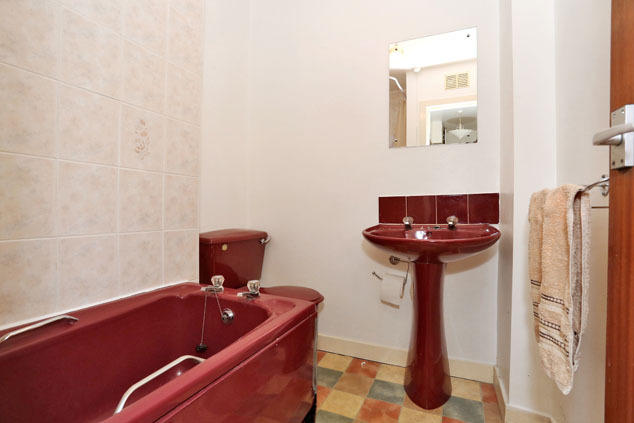 Centrally set, the bathroom is fitted with a w.c., pedestal wash hand basin and bath with electric Bristan shower above. Completing the suite is extensive splashback tiling and wall mounted mirror. Extractor. Notes Electric panel heating. Sash and case windows. EPC=E. The subjects will be sold inclusive of all fitted floor coverings, light fittings, curtains and blinds along with all free standing white goods. 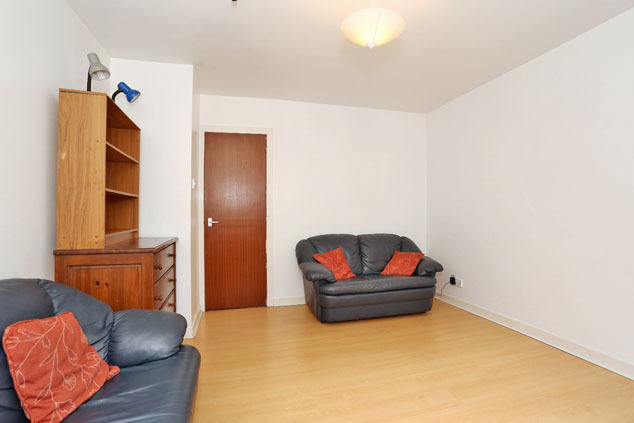 Please note, the furniture may be available by separate negotiation. The date of entry is material and offers subject to survey, subject to finance or subject to the sale of the purchaser’s own property will not be considered.